As an independent financial professional and a small business owner, you must leverage every minute you have and every dollar you spend to maximize your efficiency and profitability. One of the best ways to gain resources is to partner with the right IMO (Independent Marketing Organization) that has a skilled staff designed to support your business. Does your current IMO have a dedicated support team or staff to help you? How reachable are they? Do you leave multiple voice messages and never get a return call? Do you send emails and never get a response? A dedicated support team that values your production and is willing to go the extra mile to help you close business is essential for you to achieve maximum efficiency and profitability. Your IMO should provide you with a single point of contact that can help with many tasks including case design, new business, contracting, and compensation. Does your IMO have case design specialists who know the carriers, the lines, and the products that you sell? The best IMO's do not represent only one carrier. They should assist you with finding the best fit solutions for your clients from a variety of carriers. Every organization has access to the same products, but does your IMO truly understand the products? Have they done the comparisons and research to understand why Product A is better than Product B? In this financial marketplace where products, regulations, and carriers can enforce changes on a daily basis, you don’t have the time to research in depth to find the best product for your client's strategy. You need an independent third party IMO that has the knowledge, does the research, and brings you the best solution for your client. The best IMO's have experts on staff who have helped design products with carriers and can provide valuable insight into the way each product works. Technology is fast becoming a big part of our business. With more carriers moving to eApp as the only way to submit new business, and more and more sales being done over the phone, does your IMO understand the technology and have the means of supporting you? 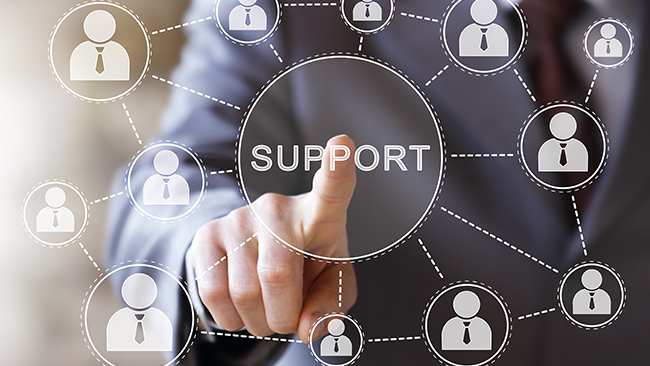 The support team at your IMO should be able to help you understand the new technology and how it integrates into your business. In addition to supporting your current level of production, does your IMO help you increase your production? I hear the same message from every organization out there: “We will help you sell more!” But as soon as you ask how, things get a little vague. You need to partner with an organization that has a formal coaching program that highlights the things you are doing well and identifies areas of your business which can be improved. Improving your processes can have an immediate impact on your bottom line. If your IMO is only doing some of these things, then it might be time to investigate your options and see if you can find an IMO with a skilled support team to assist you with the different components of your business. Does your IMO provide you with professional videos to market your business online? Learn how you could get up to 10 free customized videos as part of our My First Take video production program.